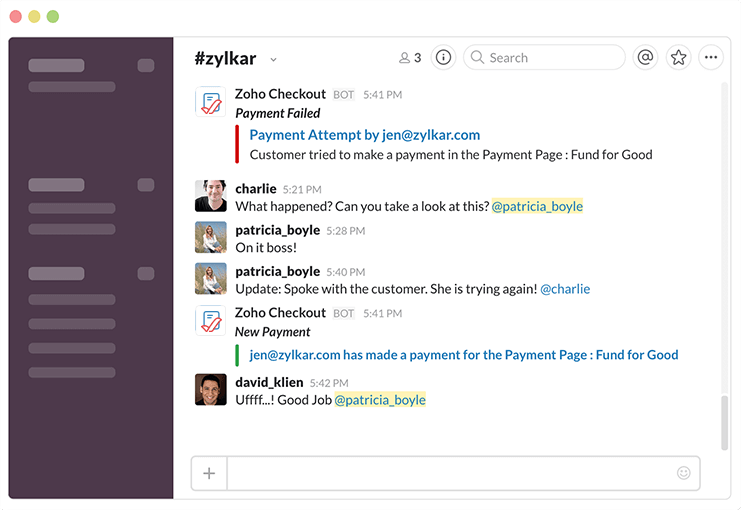 Get notified in Slack when your customers make a payment or when their payment fails. Your team can follow up with customers sooner. Zoho Checkout is an easy to use payment solution that lets you collect one time and recurring online payments via customizable payment pages, schedule automatic retries for failed recurring payments and get real-time analytics. 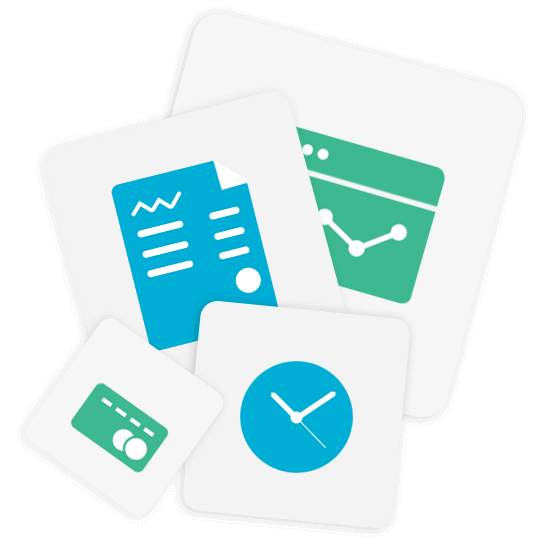 Online payments and notifcations made simple. Receive notifications in Slack about your payments. You and your team can reach out and engage customers at crucial stages of a business transaction. Get notifed when a customer makes a payment on your Payment Page, while you focus on growing your business. When customers try signing up for your services through your Payment Pages and their payment doesn't go through, Zoho Checkout sends a notification to your Slack account. Stay on top of your payments through instant notificatons on your favorite collaboration channel.